INTRODUCTION: The human parainfluenza viruses (PIV) are common human respiratory tract pathogens. 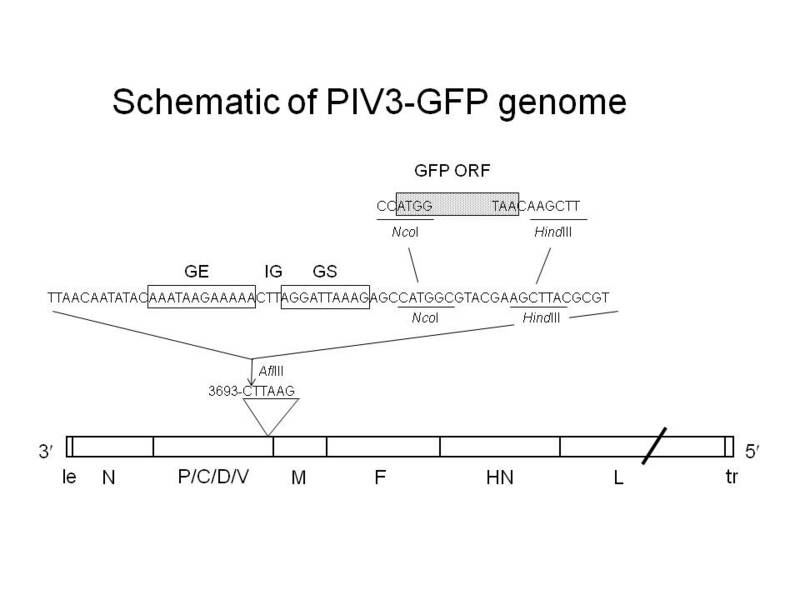 Four serotypes of human PIV have been identified, with serotypes 1, 2, and 3 being the most significant for human disease. 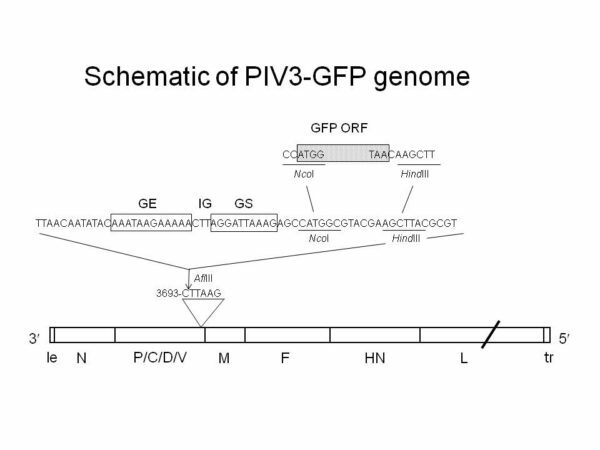 PIV type 3 (PIV3), a member of the genus Respirovirus, subfamily Paramyxovirinae, family Paramyxoviridae, is an enveloped nonsegmented negative-strand RNA virus. 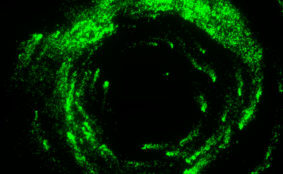 The viral nucleoprotein (N), phosphoprotein (P), and large RNA polymerase (L) protein, together with the viral genome, form the viral nucleocapsid, while the matrix (M) protein, located between the nucleocapsid and the lipid envelope, mediates viral maturation and budding. 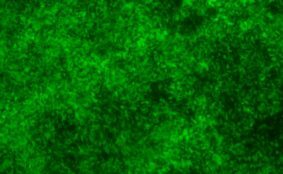 The hemagglutinin-neuraminidase (HN) and F transmembrane surface glycoproteins mediate viral attachment and fusion and are the neutralization and major protective antigens. PIV3 is second only to human respiratory syncytial virus (RSV) as the most common cause of serious respiratory tract disease in infants and children. Approximately 60% of children have been infected with PIV3 by 2 years of age, andbronchiolitis and/or pneumonia can occur in 10 to 30% of those infected. No effective treatment or vaccine for PIV is currently available. 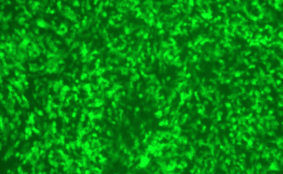 DESCRIPTION: For the construction of PIV3-GFP (based on the JS strain), a 720-bp cDNA encoding the enhanced GFP of Renilla reniformes (Life Technologies) was modified by PCR to be flanked by PIV3 gene-start and gene-end sequences. 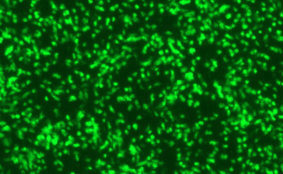 The GFP containing fragment was then assembled into the full-length antigenomic cDNA. 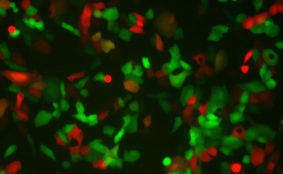 The total number of added nucleotides was 792, thus maintaining a final genome length that was an even multiple of six, as required for efficient RNA replication. 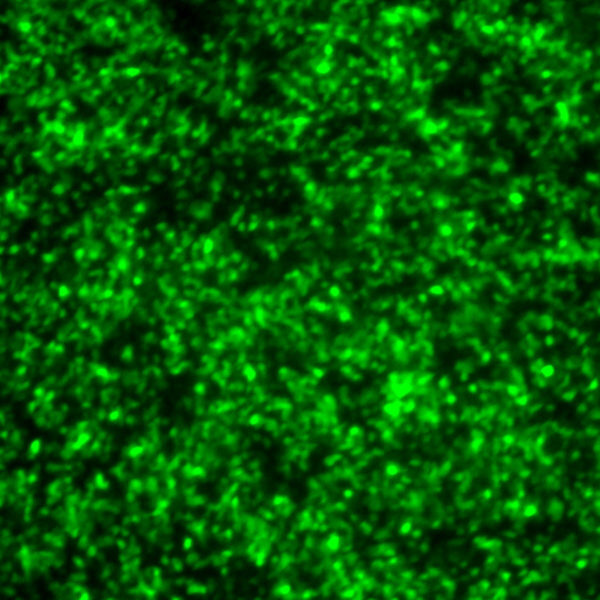 PIV3-GFP was rescued by cotransfecting HEp-2 cells (ATCC CCL-23) with the antigenomic plasmid and N, P, and L support plasmids and infecting with a recombinant modified vaccinia Ankara virus, MVA-T7, expressing T7 RNA polymerase. 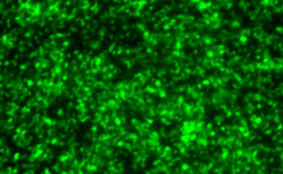 Virus stocks were further amplified in LLC-MK2 cells (ATCC CCL-7), and aliquots were stored at −80°C. Recombinant PIV3-GFP was found to replicate to titers similar to those obtained for the parental JS wild-type strain of PIV3. 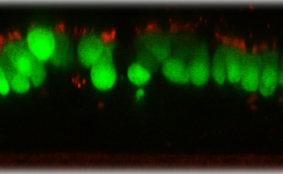 Construction: GFP gene was inserted between the P/C/D/V and M genes. 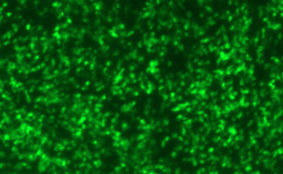 Passage History: The isolate was plaque purified and propagated in LLC-MK2 cells. Infectivity: Titer >8.0 log10 TCID50 per mL. Infectious in humans.